Those of us who grew up in the ’80s can remember the original DuckTales series with the wacky Huey, Dewey and Louie. In 2017 Disney brought the series back with all-new adventures for a new generation of viewers. 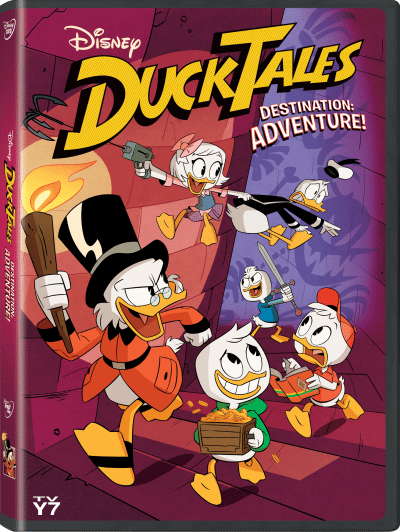 Bring home the fun with Disney’s DuckTales: Destination Adventure! now available on DVD! 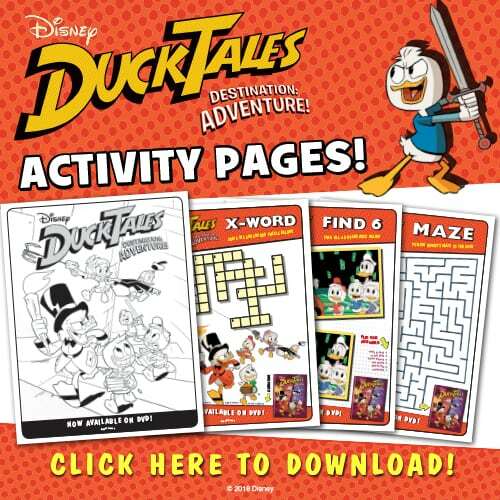 Get in on the fun with these DuckTales Printable Activity Sheets! You can download and print a fun coloring page, find the differences, maze, and crossword puzzle for your kids to complete. I loved this cartoon when I was younger. Thank you for the fun trip down memory lane and cute activity sheets. My family loves DuckTales. I will definitely print these out and give them to my niece and nephew. I loved Duck Tales as a kid. My grandsons will enjoy these activity sheets. 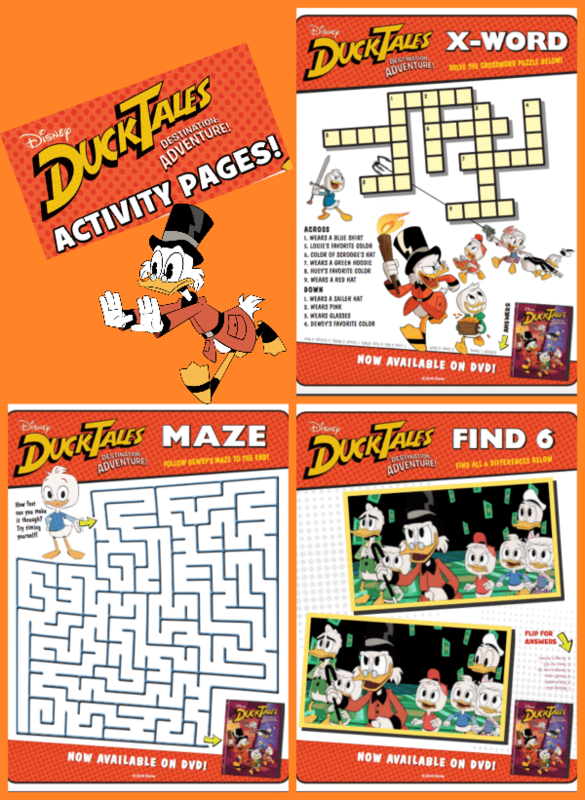 I love to bring activity sheets with me when we go out to eat and my boys love Ducktales so these are perfect. This was one of my favorite shows growing up. I even got some of the figurines one year for Christmas! 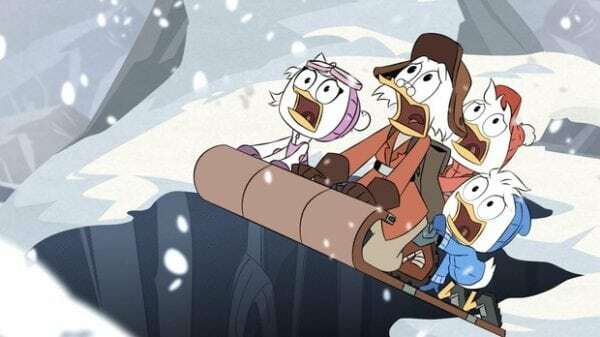 I’m glad that Disney brought back “Duck Tales”, and that Lin-Manuel Miranda got on board!